With our Advanced 3D for VFX course you will learn the same skills as our 12 weeks course but in more depth and detail, resulting in a more comprehensive skillset and a more detailed showreel. You’ll start by sharpening your core 3D skills to give you a thorough technical understanding of software and principles, before moving on to more complex techniques of particle movement, hair, fur and more. Plus, we partner with an industry expert on all of our daytime courses (full-time) so you'll hear directly from someone who's working in the industry and get feedback on your work from a pro. Our tutors are top industry professionals, so you’ll be taught by the best in the business whether you’re a 3D artist looking to develop a career in VFX, a 2D VFX artist wanting to move into 3D or a VFX graduate preparing for the competitive VFX job market. This course will also suit students from a creative or technical background, keen to change career and get into VFX. Entry requirements: You must be over 18 and have a good understanding of written and spoken English, and feel comfortable using a computer. You'll study in an environment that mirrors a standard industry VFX studio, and will begin your introduction to the VFX pipeline. You will work with tools such as Maya and Adobe Photoshop. You’ll get hands on experience with 3D VFX techniques such as; modelling, texturing, lighting and shading including the latest 3D software. Studying a short course allows you to learn new skills quickly in as little as 12 weeks! Working in the fast paced environment will equip you for industry and you can start applying for job roles as soon as you’ve completed the programme. Complementary add on of our part-time Houdini course, to learn the latest 3D software. In the studio you’ll work on design briefs that replicate the real workplace. We give you experience of real life scenarios, such as dealing with briefs with varying requirements, deadlines and resources to get you studio-ready. You'll develop your very own demo reel in the final weeks of the course. This will become your visual CV for future employers and will help you stand out in this growing but ever competitive industry. We pride ourselves on our industry powered training, that's why we partner with some of the world's leading studios on all our Escape Studios full-time short courses. The previous experts giving feedback for our 3D VFX courses included Framestore, DNEG and BlueBolt to name a few. 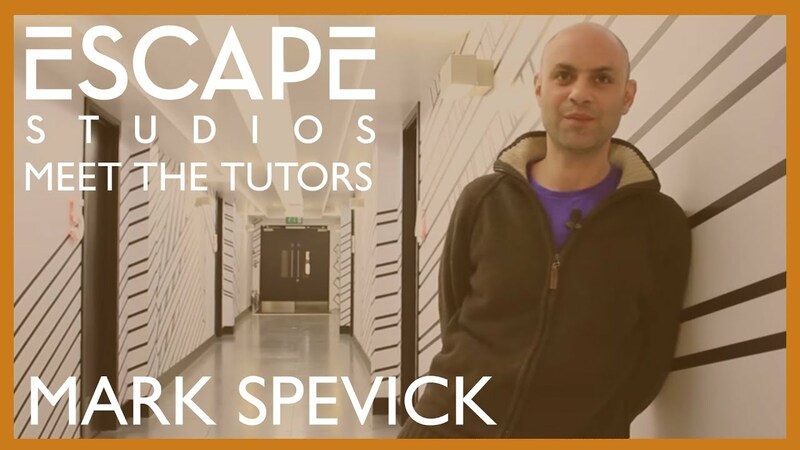 All students on any 3D for VFX (18 weeks) course will graduate with an Escape Studios Certificate of Achievement, a well-respected qualification within the industry, demonstrating you've studied an industry-based course and have the practical, hands-on skills studios are looking for. Our students go on to work in many areas of the industry. Most recently, Mark managed the CG team that worked on the parachute scene in ‘Angels and Demons’, on behalf of post-house DNEG. I chose to study at Escape Studios because of their relationships with animation and production studios like MPC and Sony Computer Entertainment.